Huawei invites people to #RewriteTheRules on 26.03.2019 at 14:00 CET, when its launch event for the Huawei P30 Series will be taking place in Paris. 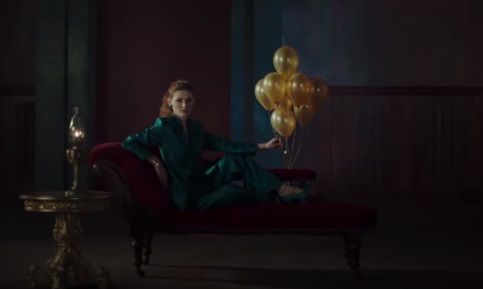 The company has released a teaser for the event, highlighting that “You only need a spark to glow in the dark.” The short spot features a young woman on a sofa in a dark room, with a bunch of yellow balloons near her. When she uses a fork to burst a balloon (after the question “Too dark?” flashes onscreen), the fireflies inside the balloons stop giving off light, and only one firefly – placed in a lamp – remains glowing. “A touch of light is enough.” an onscreen line reads at the end of the spot, which also announces that “Huawei P30 Series is coming”, along with the information on the place and date (Paris, 26.03.2019) and the #RewriteTheRules hashtag. Huawei P30 and Huawei P30 Pro will be officially unveiled, therefore, next week, on Tuesday, at a special event in France’s capital city. The event has also been promoted through a series of photos of the Eiffel Tower, Arc de Triomphe and Notre Dame cathedral, all photographed with immaculate tight zoom, alongside the phrase “Rules were made to be rewritten”. According to the latest leaks, the P30 will feature a 6.1-inch, 2340 x 1080 OLED display with a teardrop notch, triple rear cameras, a Kirin 980 processor, a 3650mAh battery, 6GB of RAM and 128GB of storage, a headphone jack, an in-display fingerprint sensor and IP68 water- and dust-resistance. The P30 Pro will feature a 6.47-inch, 2340 x 1080 curved OLED screen that doubles up as a speaker by vibrating, a triple camera system, a 4200mAh battery, the same processor as the P30, but with 8GB of RAM and three different storage options – 128GB, 256GB and 512GB, and IP68 water- and dust-resistance. Customers will have three colors to choose from for their P30, namely black, white and blue, and four different colors for the P30 Pro – black, white, blue and orange.